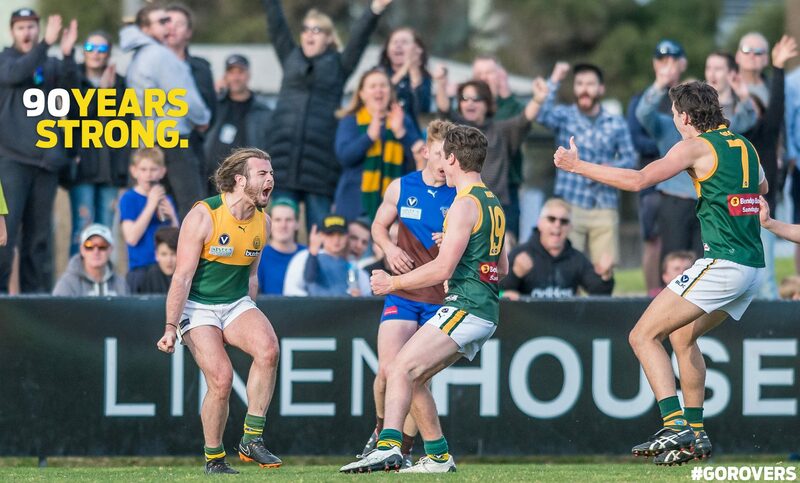 The 2019 VAFA season kicks-off Saturday and all five Rovers teams are ready for round one including the Seniors who face Old Mentonians at Keysborough. Over 140 players and supporters packed the Boss at the first selection night following the first two training sessions on our home ground for the year. The teams were announced as were the 2019 team leaders. VAFA’s preview: The Rovers were agonisingly close to Division 1 glory last year after falling to the Monders by six points after trailing by as much as five goals. Led by Big V representative, Christian Carnovale, the Rovers will want to solidify their position in Premier C after suffering the double drop the two seasons prior. The Rovers will look to get their 2019 Premier C campaign off to the best possible start when they face Old Mentonians at the Keysborough Playing Fields on Springvale Road. Seniors start at 2:00pm with the Reserves at 11:40am. Former Swinburne Uni captain Jackson Manning makes his club debut for the Seniors on Saturday and it’s great to see the return of Sam Bradford. On a leadership front, Christian Carnovale and Adam McNeil remain co-captains while Josh Pavlou and Ben Traeger-Haig were announced vice captains. Nick Jewell will lead the Reserves in 2019 with Nick Jackson vice-captain while Tom Youl was announced as captain of the Thirds and Jesse Rees vice. It’s a double-header at Castlefield Reserve with teams able to enjoy the brand-new facilities, starting with the Senior Women v UHSVU at 10:30am who’ll be looking for a much-improved season in a more suitable division. Great to see a number of new faces at the club. Bianca Lenarcic, Zara Phillips and Chloe Mirams named 2019 captains of the team. The Thirds then take on Chadstone, commencing at 12:30pm. Plenty of numbers as is always the case this time of year, with some 14 players named on the bench Thursday night. The Under 19s, under returning coach Sam Care and assistant coach Will Walker, travel to Marcellin College in Bulleen (Lyons Oval) to face Marcellin OCFC, commencing at 11:40am. Great to see a wealth of numbers at U19 level this year and the boys will be looking to have a successful year on the field. Oscar Donald & Max Coughlan were announced as captains. All players and supporters are welcome back to Boss James Reserve following Saturday’s games with the bar open from approximately 6pm. Don’t forget to follow the Rovers social media channels to keep up to date on what’s happening including live scores from the seniors match at Keysborough. Follow @hamptonrovers on Twitter, Instagram and Facebook or visit the Live Scores page.